Do you fit into one of these? Have a new road bike and intimidated riding on the open road? Would like to ride in a group but lack the experience and knowledge? Would like to learn more about the bike and safety issues? Would like to become a ride leader and lead/enable some of those awesome Saturday and weekday rides? Well we have exactly what you are looking for! Join us for 3 Saturday basic road cycling clinics and one Sunday ride leader course during the month of March. 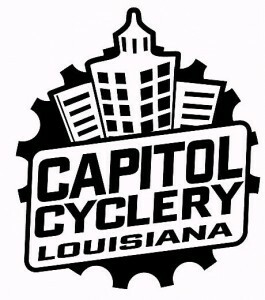 When: March 3rd (Ride Leader Course @ 4:00 p.m. St. Francisville) Contact Kyra Fitzgerald for details. Each session will be 45 minutes of instruction and one hour plus of riding. Each session will cover different topics so if you register, you register for all!! Attend any or all! FREE FOR MEMBERS, check your e-mail for the FREE code), or $25 for non-members. Broadmoor UMC members please contact Bruce Wickert for your FREE code. Space is limited so please register soon! !